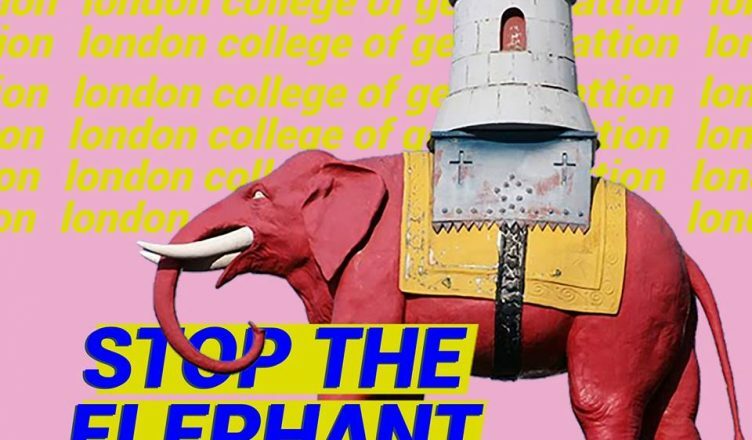 Students have occupied a section of the London College of Communication (UAL) the night before the Delancey’s plan for redevelopment of the Elephant & Castle shopping centre and London College of Communication campus goes to planning. Gentrification has ripped through London, pricing students and working class people – particularly BME people – out of their communities. Elephant & Castle is home to Walworth residents, a large Latin American community, traders and UAL students. This community is under threat from the proposed Delancey development of hundreds of new luxury apartments with only 3% ‘fake’ social housing (by the company’s own, flawed definition) and 10% affordable retail units. And if any more proof was needed that this is about profit and not developing the area for the people who live and work there, it’s the fact Delancey, a gigantic property firm managed offshore that pays no UK taxes, are set to pocket £154 million from the development. The relocation guarantees currently offered by Delancey to local traders and independent business people operating in the area are totally insufficient, and no adequate offers of compensation have been offered to those that cannot wait for new premises, such as market stalls across the city. In addition, the consequences of closing the Bingo- the heart of a community of hundreds of elderly people – will be cruel and catastrophic. Students will also be amongst the worst affected by the gentrification of Elephant and Castle, as the cost of rent and local commercial outlets will soar. This is social cleansing, and UAL are complicit – directly benefiting from the development which will give the university permission to build a new LCC building while raising no objections to the consequences of Delancey’s plans, and the consistent lack of transparency and shutting out of residents and traders throughout this process. This is far from the first time there’ve been plans to demolish the Elephant shopping centre, or far from the first time big businesses have claimed to operate under the guise of progress and improving the lives of people in Southwark. The issue here isn’t our opposition to improving LCC or even to the construction of a new building, but instead about the effects of gentrification on the local community. UAL must come out in opposition to this outrageously offensive proposal, call for planning to be pushed back until proper effort is given to genuine transparency and meaningful involvement from the community and push for 100% real social housing, more affordable rental units and guarantee that the bowling alley and bingo centre will stay. Let’s make sure LCC remains the London College of Communication and not the London College of Gentrification.